Nemanja Matic was delighted to get a ‘very important’ win against Everton over the line, but the Manchester United midfielder knows an improved killer instinct is needed. Jose Mourinho's men secured their first victory since the international break on Sunday, with Paul Pogba and Anthony Martial scoring either side of half-time at Old Trafford. "Of course it is very important for us to win today," he said. "As you know, Everton is a very good team. 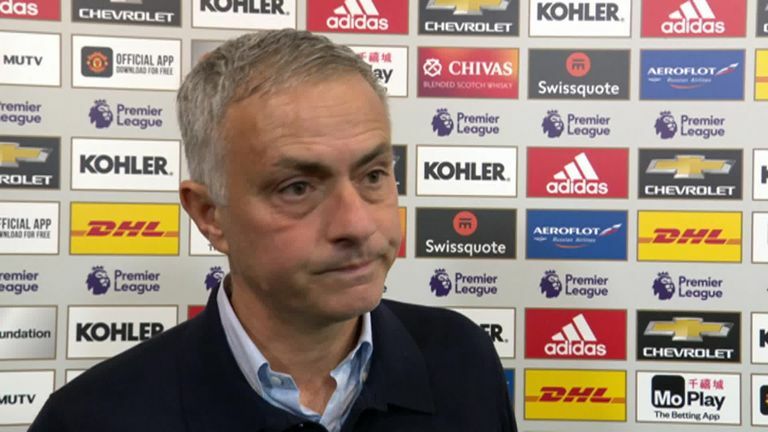 "We were unlucky that we didn't win against Chelsea in the last second and, as you saw, in this game also in the last minute we had some trouble after a corner kick. 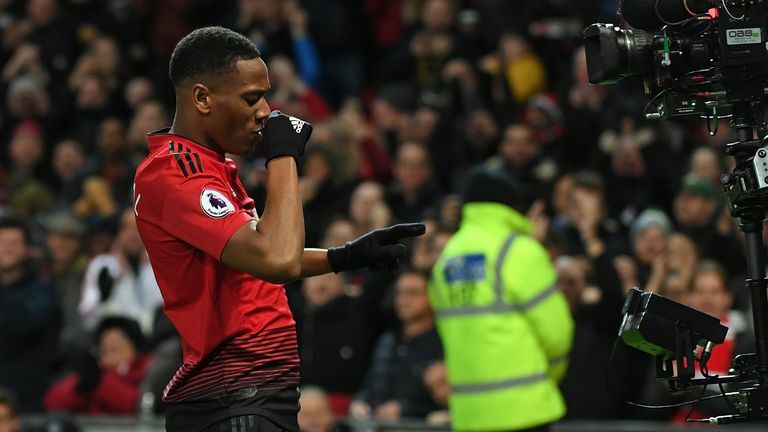 Graeme Souness, Jamie Redknapp and Alex Scott believe Anthony Martial is the best player Manchester United have when he's playing at his best. "We didn't want to allow this to happen again, so we are happy for the win, we are happy for the three points and I hope that this win will give us more confidence for the future. "I think in some moments of the game we showed good football. We should, how we like to say, kill the game with the goal, but we didn't score and when you don't score this happens. "Obviously in the Premier League every team has quality to hurt you, so we knew they would try to score. "And they scored from the penalty, but we managed to control until the end and to win." United had several opportunities to put the game to bed against an Everton side who showed flashes of the confidence that came with a three-match winning run in the Premier League. Anthony Martial won a penalty and scored a superb effort to help Manchester United to victory over Everton at Old Trafford. Mourinho's side, by contrast, have seen their soft underbelly exploited all too often, which is highlighted by the fact they have managed just one clean sheet in their first 10 league matches. "Not nervous, but of course we feel the responsibility for our supporters," Matic said. "We didn't allow them to score the second one. "I think we deserved to win this game, but they tried to risk it. 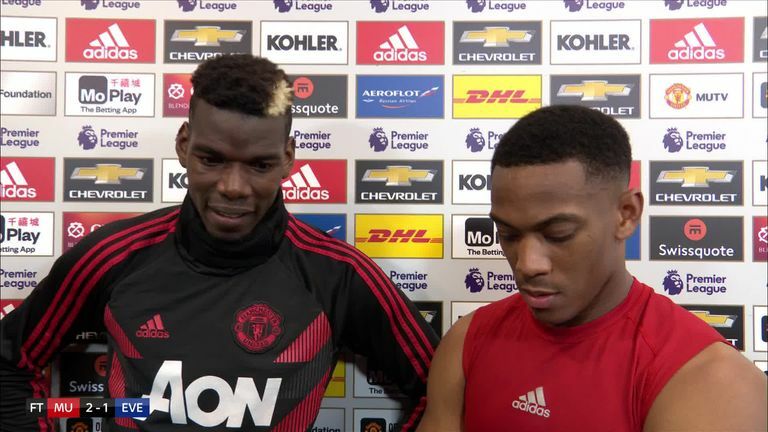 They went up front with seven, eight players to risk and after that we had a counter-attack, I think it was Anthony Martial, to score the third one. Jose Mourinho felt his side were in control throughout and played very well at times during their 2-1 win over Everton in the Premier League. "But this is football, we accept that and, in the end, the most important is the result." Asked if the team was getting better, the 30-year-old said: "I think that we improve. "We work very well during the week and I think that we improve. Also the other teams improve, they work also. "Sometimes they don't allow you to do what you want to do, so I think that we improved but still we have to show that in the next games."